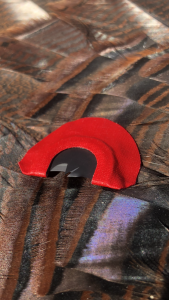 This double reed ghost cut is designed to produce those soft yelps and effortless purrs that keep the Tom’s coming even in the toughest of hunting conditions. What we really like about our design is how easy the transition is from yelps to Kee-Kees….Smooth does not do it justice. 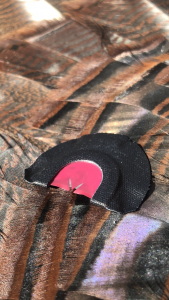 The Little June is a must have for those late spring season hunts when that Tom is looking for some afternoon delight and in the fall when it’ll assemble them big flocks back together. This triple reed split V sounds like that old raspy nasty hen that the boys want to be with! Easy to use with a wide variety of sounds from soft raspy yelps to down and dirty yelps, fly-downs, cutting, purring and even the good old hen fight. This call helped but the hammer down on many of Tom’s during testing and we don’t leave home without it. This two and a half reed cutter V is downright mean. 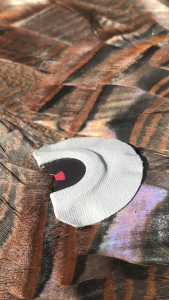 Aggressive cutting is the name of game with this call. Want to get him fired up beyond believe? This will do it with loud cutting, and yelps to get his lady fired up enough to want to do something about it, plus drag him in to check out the competition. The volume of this call is extremely great for locating that Tom in the morning when you just don’t know exactly where he is, get him fired up enough to see the leaves shaking and hold on tight!